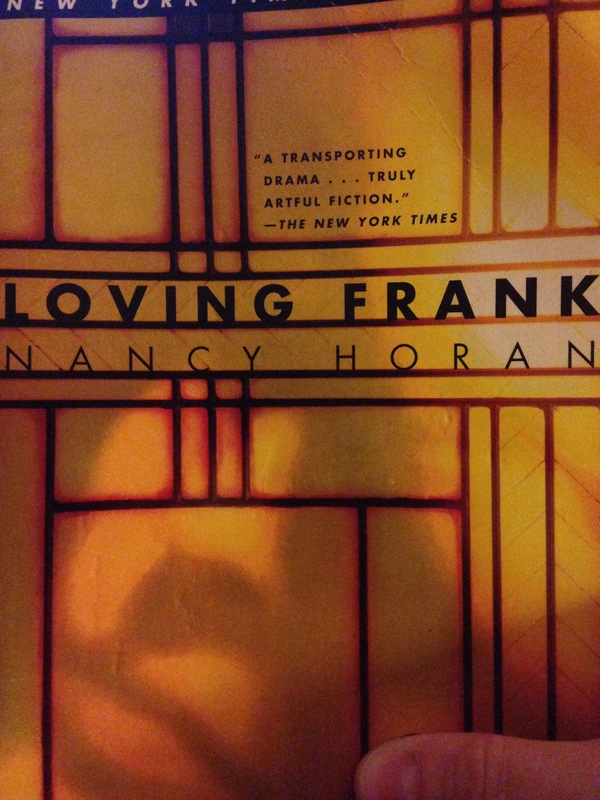 I finally finished Loving Frank by Nancy Horan – so excited! It definitely moved a bit slowly in the middle (well, maybe I just didn’t have time to devour it as quickly) but the end was a giant, quick surprise. A little recap on the book: Mamah Borthwick (wife, mother, and early feminist) writes first person about her love affair with Frank Lloyd Wright, at the height of his architecture career. Both are married when the affair begins, and we follow them (and their families) through years (and countries) of loving each other during scandal and respite. Just to prove that I read this book in print, and not on my Kindle! I loved the way Horan took Mamah’s feelings, described them well, justified them a little with the “free love” writings of Ellen Key, and brought her full-circle into a more realistic and whole view of the man she still loved. I was actually surprised to do some Googling, and see how close to actual history Horan stayed when writing about the affair, Wright’s travels and work, and even Mamah’s relationship with Ellen Key. She must’ve done extensive research and followed it with careful planning to construct such a well-written love story and true-to-life account of the facts. Like I said, the middle was a bit slow, possibly just because that was a less exciting time in the main characters’ lives, or perhaps because I didn’t know Ellen Key or her writings in advance, but I truly loved the book as a whole, and would definitely recommend it! Now I’m into Yes Please by Amy Poehler, to satisfy the “memoir” category on my reading challenge. I’ve read Tina Fey’s Bossypants and loved it, so I was nervous for Amy to keep me as interested… and she did it! So I’ll let ya know how that one is when I finish it! I’m laughing out loud and loving it!